In a recent project, we were tasked with crafting a space inspired by the client’s favorite fashion designer: Hermès. Thrilled at the chance to use an elevated motif filled with rich colors, classic patterns and an ode to French fashion, our team got to work creating scenes that the couple would be inspired by, as well as spaces that were family-friendly and fashionably functional. In the downstairs portion of the home, we worked with the floor plan to create separate quarters between the entry, living room, dining room and kitchen. Inspired by the designer, we incorporated tones of chocolate brown and bright orange to add dimension and a luxe feel, and balanced the bold palette with metallic details like brushed gold and polished mirror finishes. To make the space feel more livable, our team used a layering effect with area rugs—a large natural fiber rug as the base, and a rich hide rug on top. This doubled-up design balanced the plush details of the space via the hide, with the more approachable aspects like the natural fiber. The master suite and guest spaces were kept neutral with hints of the Hermès-inspired color palette of orange, brown, cream and gold. Artful details like a metallic framed mirror, bright orange leather chair, and artwork featuring different depictions of horses added some personal touches. Our favorite part about designing these areas were the added thoughtful elements—piles of cozy pillows on top of the bed, lamps shaped like trophies, and beautifully crafted wainscoting acting as a beautiful yet simple backdrop. One of the most exciting rooms to design in the whole home was the office. Because the couple likes to work from home, we made the beautifully crafted desk with golden details the focal point, staging it in the middle of the room for a dramatic flair. We also pulled in equestrian elements like horse bookends, more artwork, and the same color palette in the rest of the home to tie it all together. With gilded details like a contemporary desk lamp, framed mirror, and accessories dotted on the bookshelf, the office gives off a professional yet pretty vibe. Color is your friend. While orange isn’t often the first color to pop into people’s minds when redecorating a space, a punched-up shade, like that of Hermès, is inspiring and surprisingly versatile. 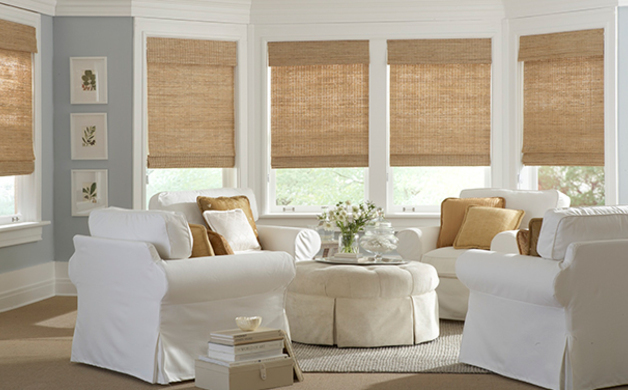 Balance this poppy tone with creamier neutrals for a subtle take on the look. Texture, texture, texture. When we decided to use equestrian style as one of the pillars for this design, we knew we had to convey the aesthetic through lots of texture. Communicate your personal twist on the look with chunky textures like braided rope or natural fibers, paired with plush cashmere throws and quilted linens. Give it a modern twist. Because Hermès is a classic fashion house, it’s easy to assume the design should feature mostly traditional elements. To bring this style into 2017, use metallic accessories and finishes to give the look a more contemporary flair. 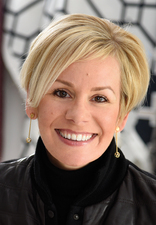 Kerrie L. Kelly is an interior designer who has created several model homes in Northern California. See her latest set by Elliott Homes in Roseville or online at kerriekelly.com.